It has been a very long time coming, but Google+ for iOS has finally gotten one of the most important updates that we've all been waiting for: full iPad support. The iPhone version has been getting a steady stream of love from Google with updates that have roughly matched up with the G+ app updates on Android, but while Android tablet users have had a proper version of G+, until now iPad users have had to either deal with the pixelated upsized iPhone version, or the mobile-view web version. 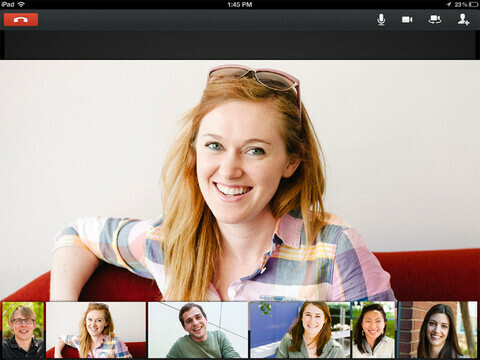 Today, Google+ for iOS was updated to version 3.0, which adds full iPad support, and we must say it looks quite good. In landscape view, the app looks something like Pulse but with more visual flare, with posts laid out side-by-side which fade in as you scroll through. The new version also adds Google+ Events for both iPhone and iPad, which allows users to create events and invite lists while being able to check invitee availability based on their Google Calendar schedule. The update also brings the ability to attach Instant Upload photos to posts. And, maybe the second best feature aside from proper iPad support is the ability to both start and join Hangouts right from the app. Hangouts are still one of the more popular features of G+, so being able to join from more devices is never a bad thing. Early reports say that there is a bit of lag in the app, but overall it's looking pretty solid. 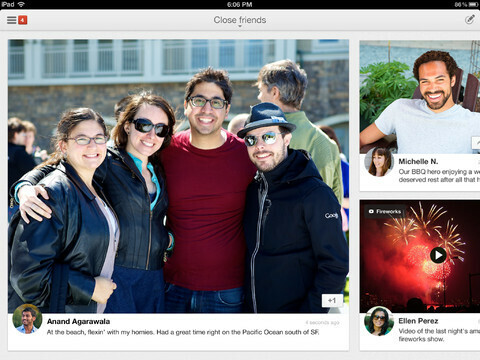 If you've been waiting before grabbing G+ for your iPad, now is the time. 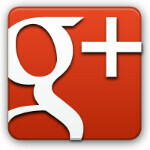 Google+ for iOS is available for free in the iTunes App Store.